Hello guys. Weekend is in full swing but I am stuck at home, nursing a bad flu. I wasn't able to post a lipstick review yesterday for my Lipstick Week because of this. I am still under the weather right now, so I can't do decent lip swatches. I hope to be better tomorrow though, as my condition has greatly improved from yesterday, when I was essentially bed-ridden, cold, and a bit cranky (It's that "time" of the month too). I will do another lipstick review next week to makeup for the delay, and maybe another swatch post. 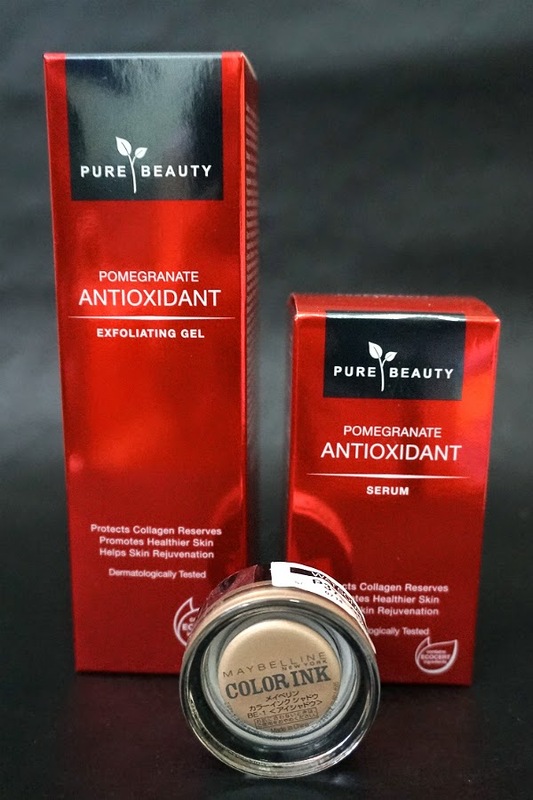 The NEW Pure Beauty Pomegranate Antioxidant range, enriched with powerful, antioxidising Swiss Radicare™ and Organic EcoCert ingredients, reinvigorates your skin to leave it looking younger and more luminous than ever before. 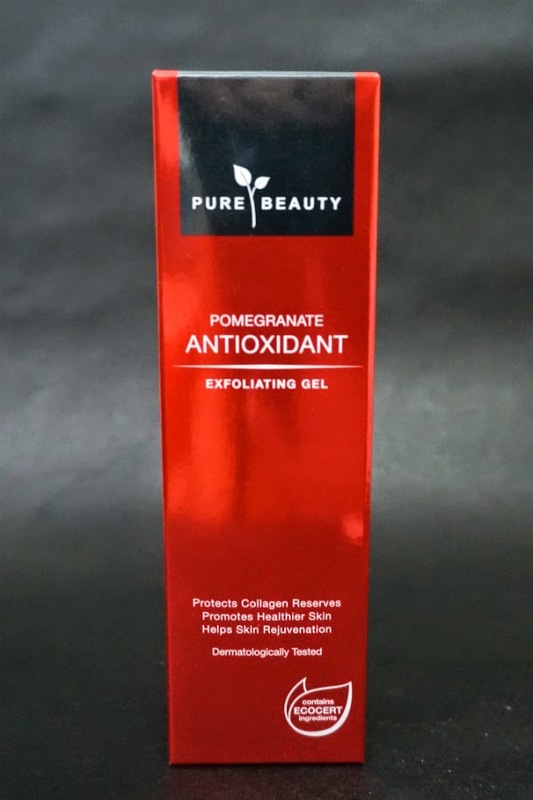 First Impressions: I'm already liking the exfoliating gel. I tried it on my face as soon as I got home and it does seem to work. My face instantly brightened and dead skin cells were easily removed. I wil continue to use this 2 times a week and see how it goes. 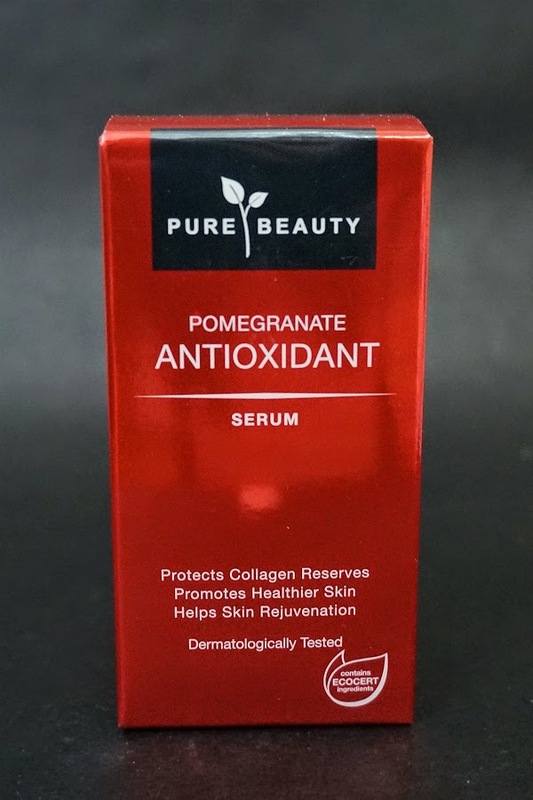 The serum also work for me as it is light and not oily. 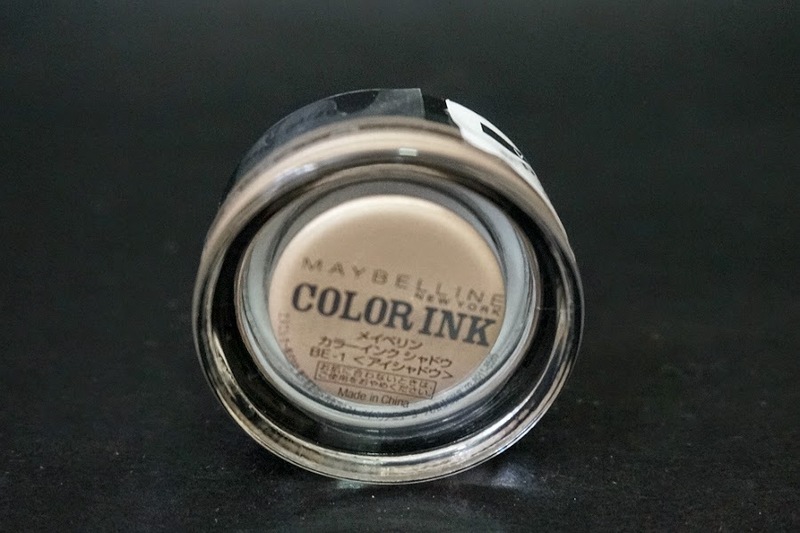 My favorite product was the Maybelline's Color Tattoo. This has been on my buy-list since they got released a few years ago but I can't justify buying one because I still have so many eye shadows to use up and only two eyes to put them on. I finally caved because these were on sale and they look so pretty. I'll put up a review soon, for now all I can say this I plan to buy more of these - they look beautiful on and don't come off after they set.